The price update for December 2017 will be delayed by a couple of weeks. The reason is quite simple, we are on holidays. We should be back at the end of January, or early February. Each year thousands of people pilger to the Isle of Islay to celebrate the music and the malt alike. The local distilleries use this gathering as a reason to issue limited Feis Ile bottlings, which immediately get auctioned. After we trained our algorithms to read prices from Bonhams Hong Kong, the next obvious step is to also get the prices from Bonhams Edinburgh. These new observations perfectly blend in with those from the other european auctioneers. Here are the prices from Bonhams Edinburgh! Many say it is a sign of good behaviour to properly introduce oneself. And who are we to contradict many? 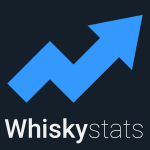 This topic contains 0 replies, has 1 voice, and was last updated by Whiskystats 1 year, 3 months ago.